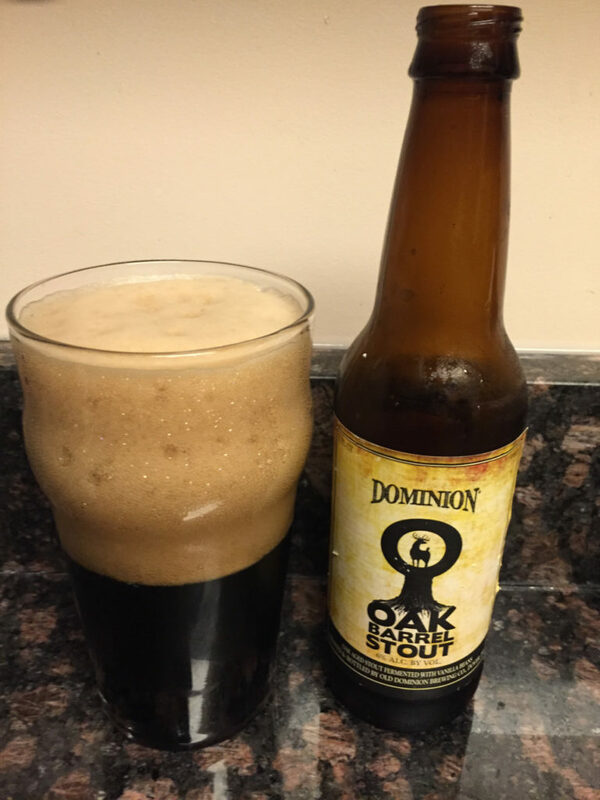 I want to preface this by saying I’m not a fan of dark beers, but this the name lives up to the taste for Dominion’s Oak Barrel Stout. It tastes exactly like that – from an oak-wood barrel. Others describe it with terms like ‘smokey,’ ‘creamy’ and ‘smooth’ and they’d be correct. I can’t say I’d want to drink a bunch of these, because the dark beer is still just an occasional thing to drink and not something to gorge, but it’s still near the top of the list for stouts. 6% alc.